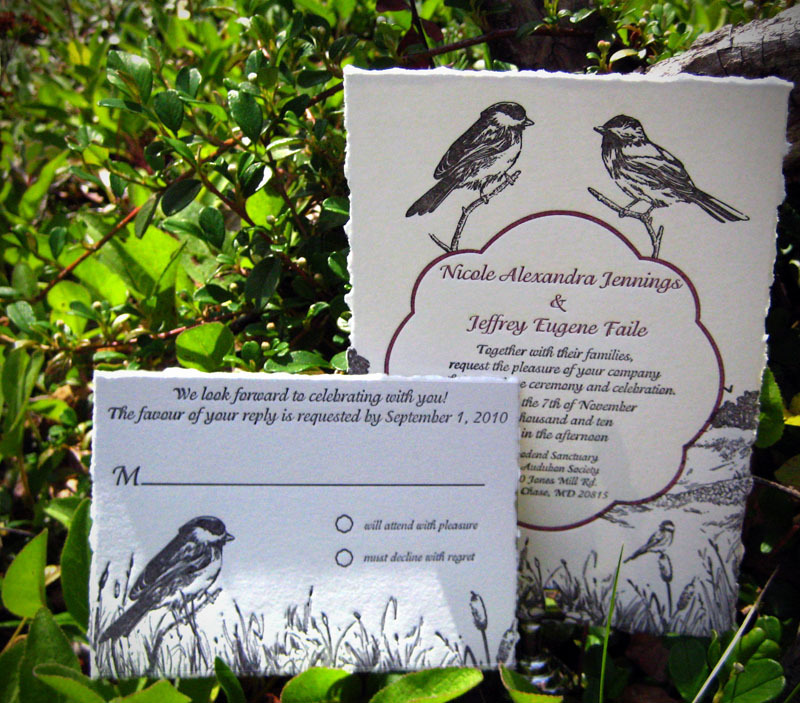 We were contacted a while ago by an American couple who were getting married at the Audubon society near Washington D.C and loved our Birds in the Field invitation. 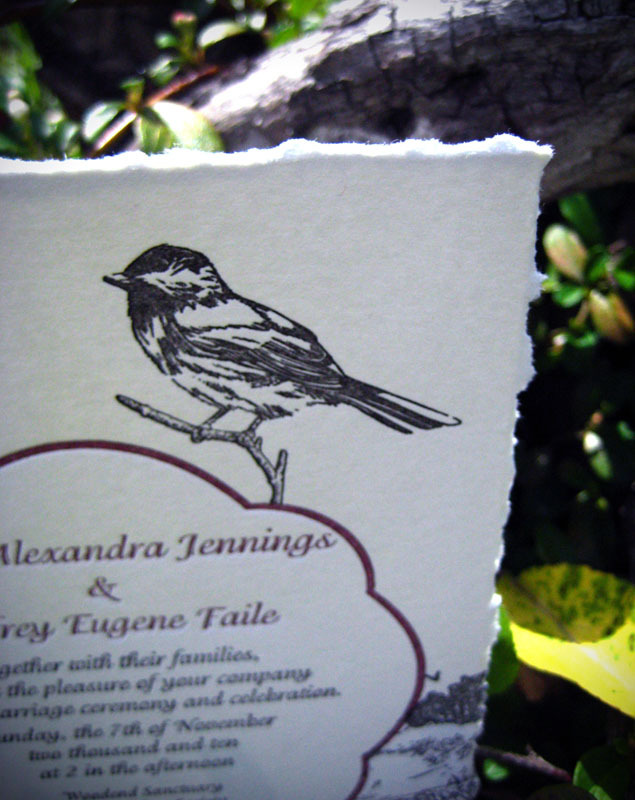 They thought it would be very appropriate for the setting of their wedding, since Audubon was famous for documenting the birds of America (Joel and Chantal are fans). 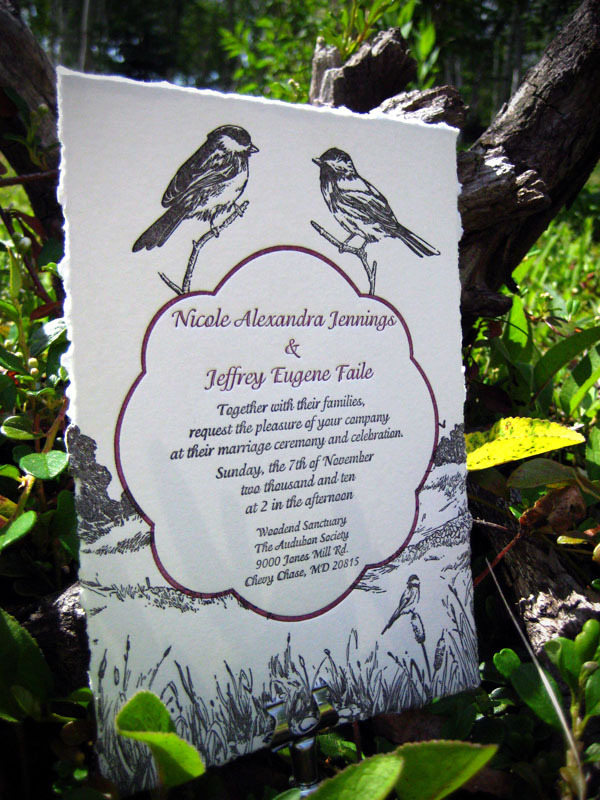 We reprinted the invitation in black and burgundy, and added deckled edges. 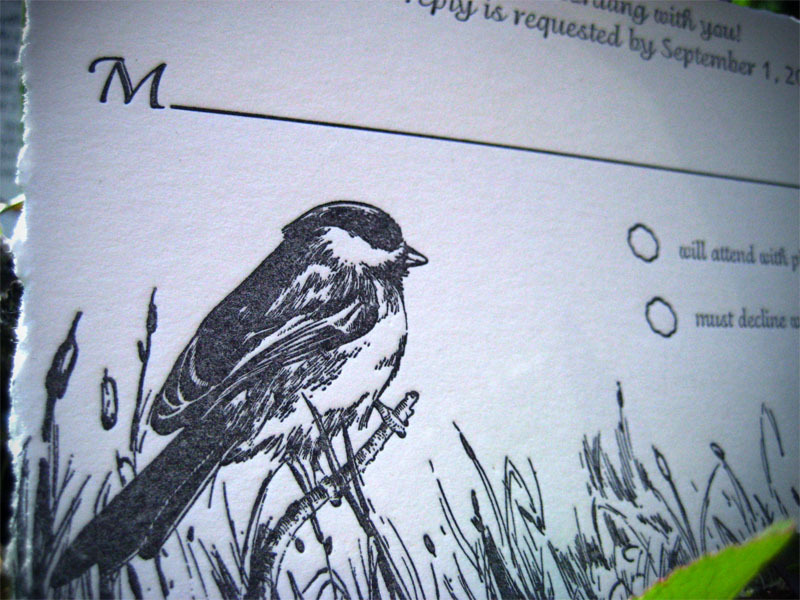 I am so excited to see you posted our invitation on your blog! I still cannot get over how absolutely lovely they are. We are just getting responses from everyone and the LOVE the invitations. Thank you again for everything Chantal!